Renewable Cities is proud to participate in the Future of Cities Forum taking place on September 14 and 15, 2015 in Beijing and Tianjin. 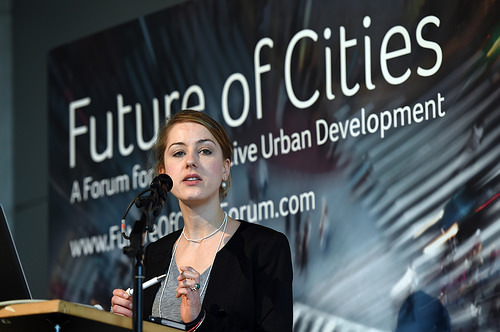 The Future of Cities Forum is an annual event hosted by the World Future Council and focuses on regenerative urban development. Future of Cities has a different theme every year, with this year’s being, “the role and impact of international guidelines on cities and local governance.” These forums are well attended by councillors, city planners, researchers, and members of senior levels of government. The list of speakers is now available and includes a broad array of participants, including Renewable Cities’ Executive Director, Michael Small who will be presenting a case study of the City of Vancouver as a “Greenest City” and “Renewable City“. Future of Cities 2015 is component to the 11th Forum on Environment and Development organized in partnership with UNEP and ACEF (All China Environment Federation) and the 6th China International Eco-city Forum & Expo. For more information, visit the Future of Cities website.